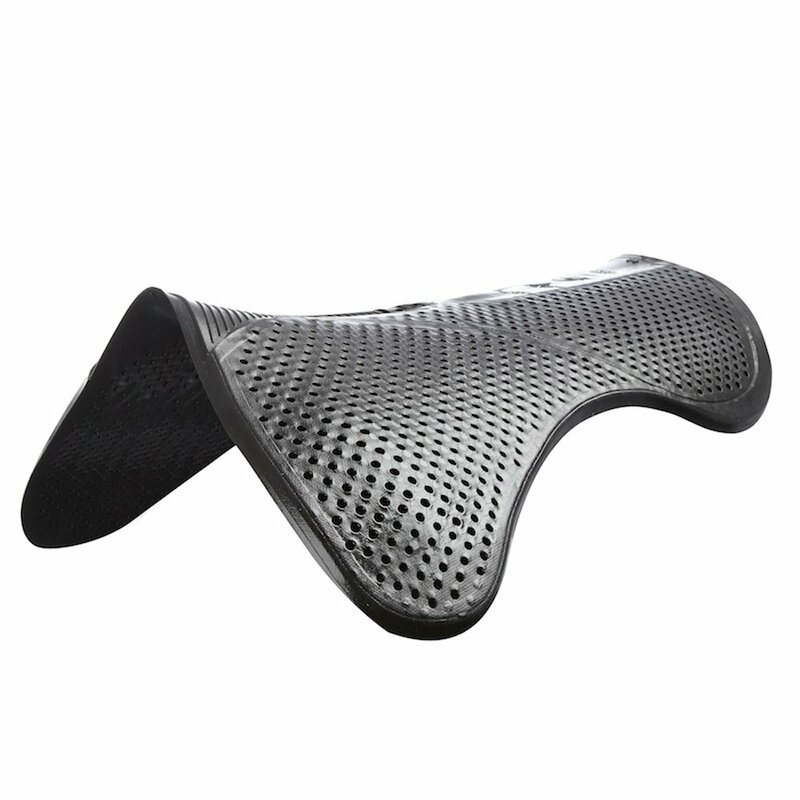 The Acavallo Shaped Gel Pad is designed to prevent the saddle from slipping in any direction. Acavallo gel pads are highly shock absorbent and made from theraputic gels manufactured to non-toxic medical standards. These gel pads are incredibly strong whilst remaining flexible enough to move with the horse and have 'tacky' properties to prevent slippage. Acavallo Shaped Gel Pads can be used directly on the horse's back or on top of a numnah or saddlepad, and can also be cut to fit.